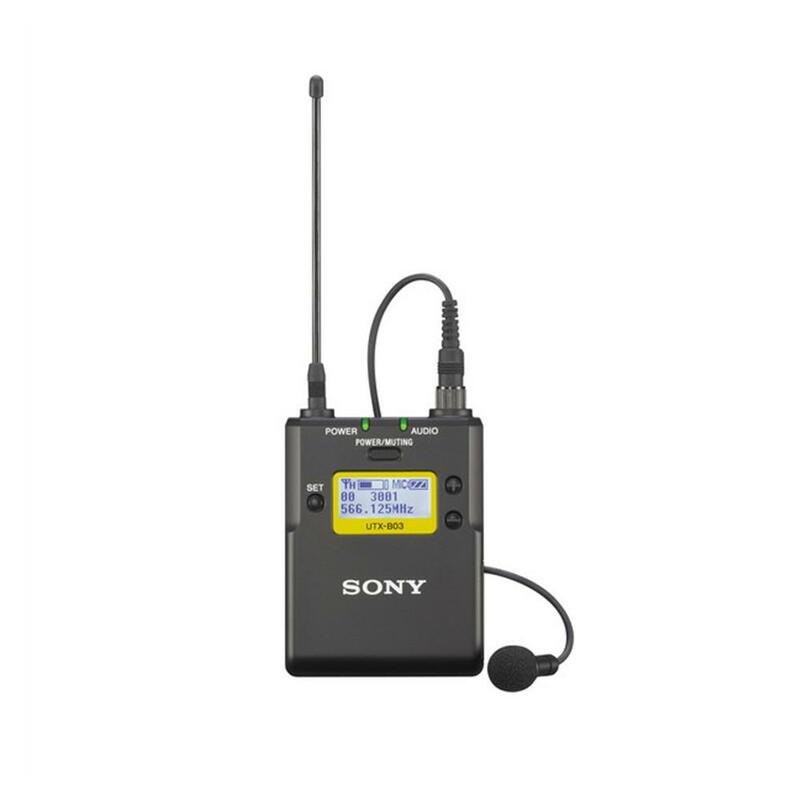 The UWP-D series compact and lightweight belt-pack transmitter comes supplied with an omni-directional lavalier microphone. The UTX-B03/14 operates on UHF TV channels 14 - 25. This belt-packk transmitter (with omni lav mic) is ideally suited for news gathering, interviews, talk shows and conferences. The UTX-B03 belt-pack transmitter features a bright 11.5 x 27.8mm display, significantly larger than previous UWP models to make them easily readable in all situations. The UTX-B03 belt-pack transmitter has a micro USB terminal for connection to USB external portable power sources allowing the unit to be powered by the camcorder during use, resulting in hassle free power. You can also load NiMh batteries into the belt-pack to be charged through the micro USB. The UTX-B03 belt-pack transmitter is made of strong, durable metal. Metal construction supports reliable use in rough operating conditions.